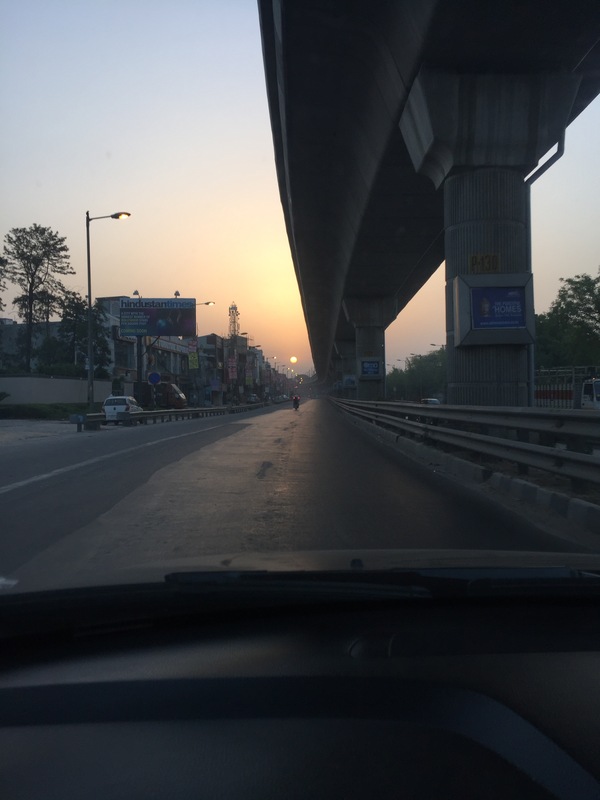 We started from Gurgaon at 5.30 am on Saturday, June 4th. We had planned on starting at 5 but had a call on Friday till 9.30 pm so couldn’t sleep early. The other thing we realised is we need about 90 minutes from the time we wake up to get started on a road trip. We reached the Mathura exit on Yamuna Expressway by 7.25 am. 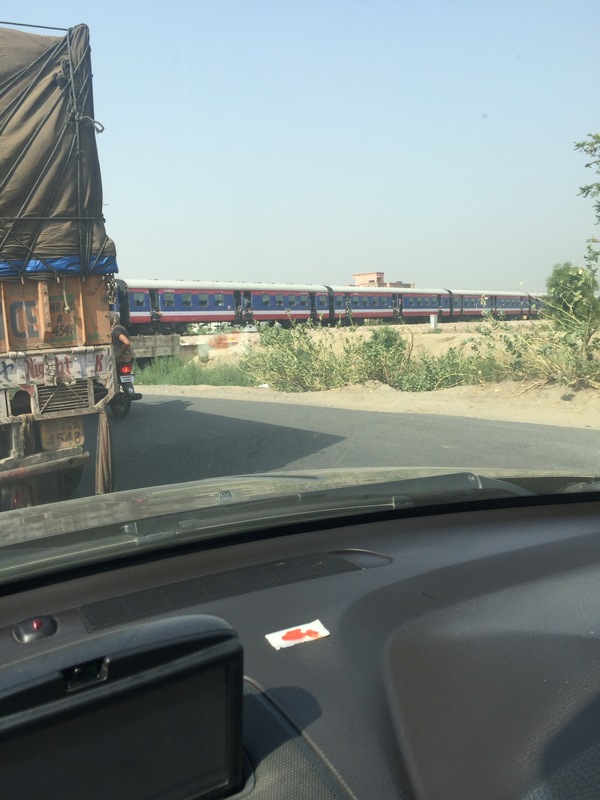 The railway crossing as we exit Agra onto the Gwalior highway. This train was crossing this time around. We always stop at this railway crossing because there is invariably a train crossing. We had a Skoda Rapid car parked right behind us and while trying to avoid a truant mini-lorry that tried to muscle in as soon as the gate opened, the driver bumped into our car. It took us another two kilometres of driving before we could get down and look at the rear of the car and talk to the driver of the Skoda. Thankfully no damage, except a small scratch !! 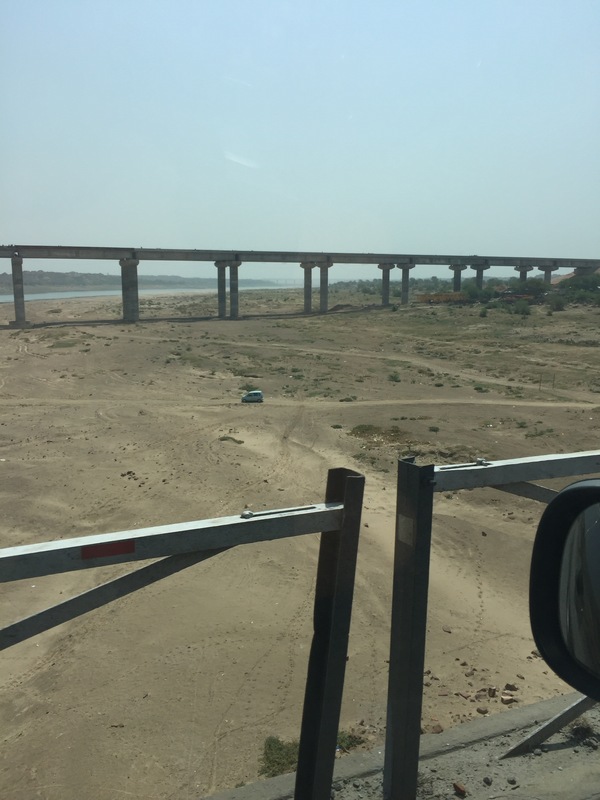 The unfinished bridge across the Chambal river.. just after you cross Dholpur. This bridge has been this way since 2009. The only improvement is the “diverted” road has been patched over so you can drive at 60 kmph rather than crawl at 20 kmph like before. Small mercies. A familiar sight of passengers riding on top of the bus … but they must have been cooked ! 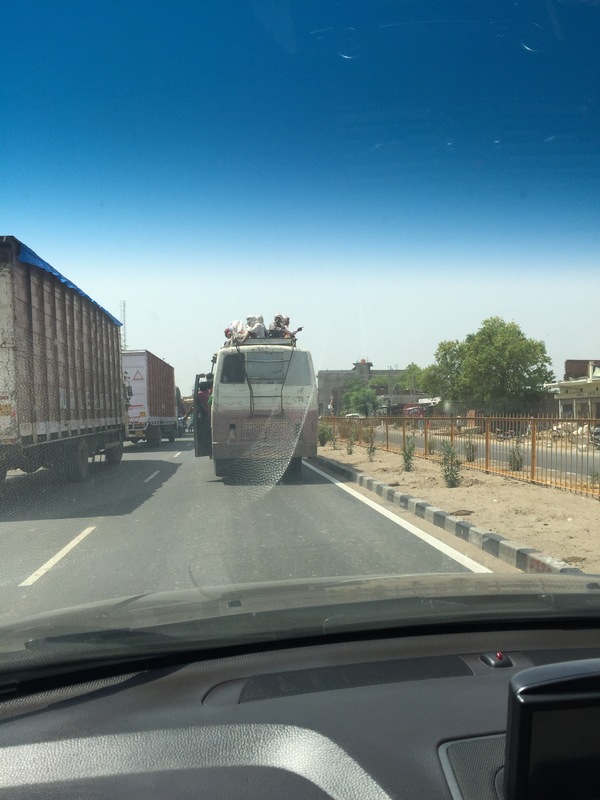 This picture is near Gwalior bye-pass and the passengers were sitting in sweltering heat – it was around 42 deg C. We refuelled at the company owned, company operated Bharat Petroleum filling station just before the rest house at Dabra. A pretty, young mother in a lovely pink sari just before we turned into Datia. 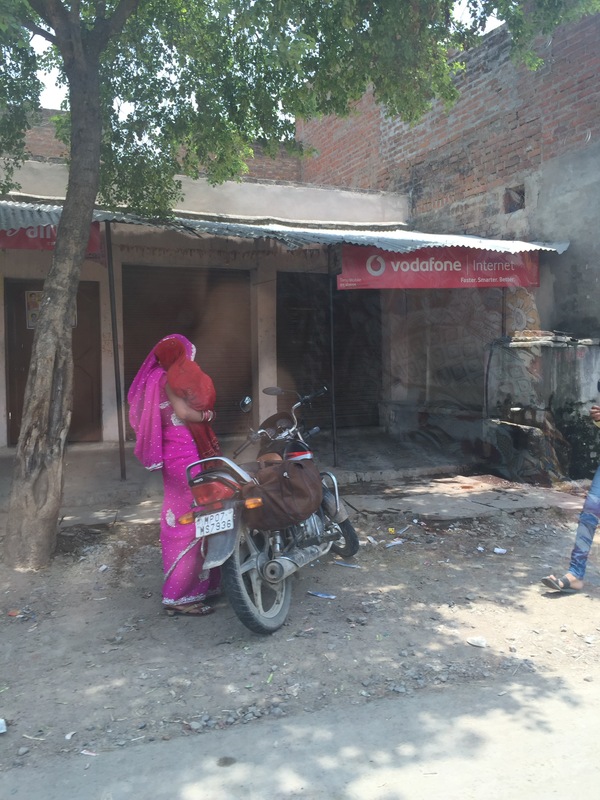 This is such a nice photograph of a young lady in a bright pink sari … and its a lucky click, I was just trying to catch the Datia palace as we turned the corner and got a few pictures of this tiny village. 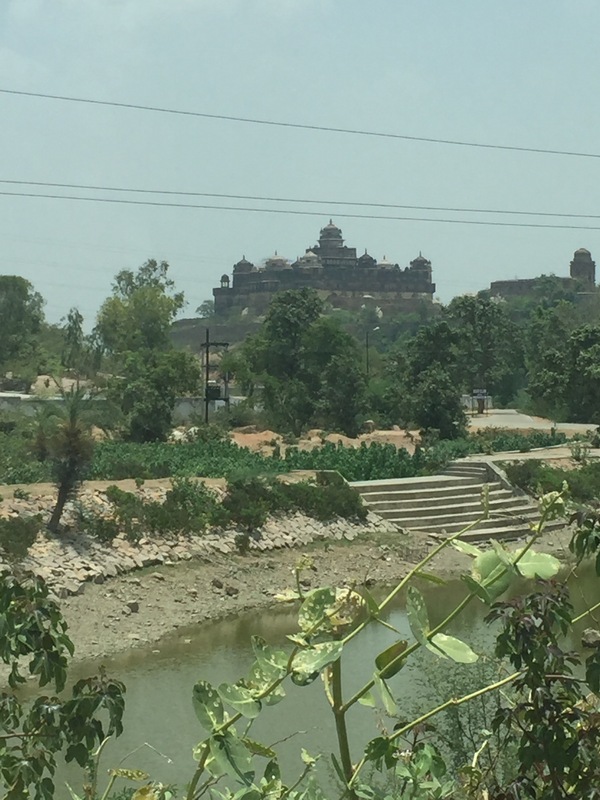 The Datia palace which is now being run as a hotel. Must stay here sometime. 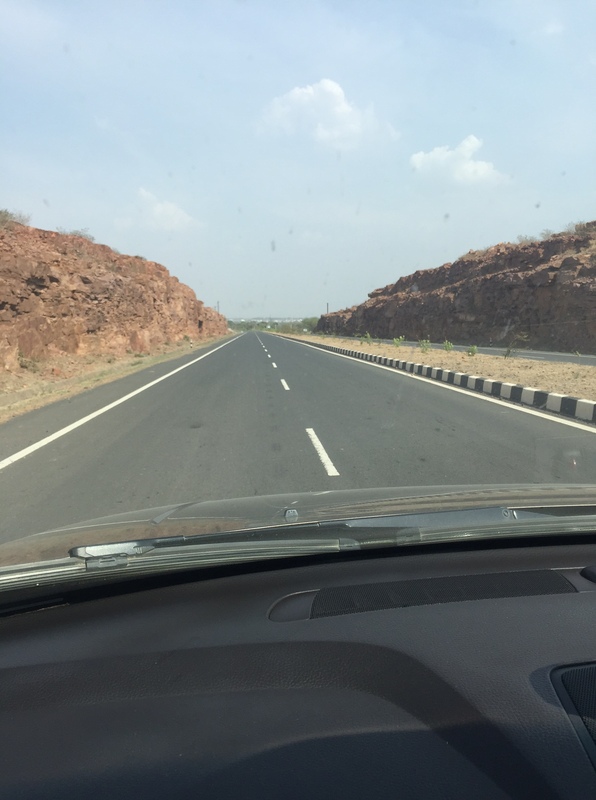 After Datia we reach Jhansi and the unmarked right turn towards Lalitpur… The only indication is to suddenly find a unfinished toll road like structure jutting into the road and no vehicle getting onto it :). Once you take a right a few kilometres down that tollway, there is an unmarked left turn to Babina and Lalitpur. Take that if you are trying to go to Sagar. There is another Bharat Petroleum, company owned, company operated fuel station, at Lalitpur which is where we usually refuel before reaching Sagar. 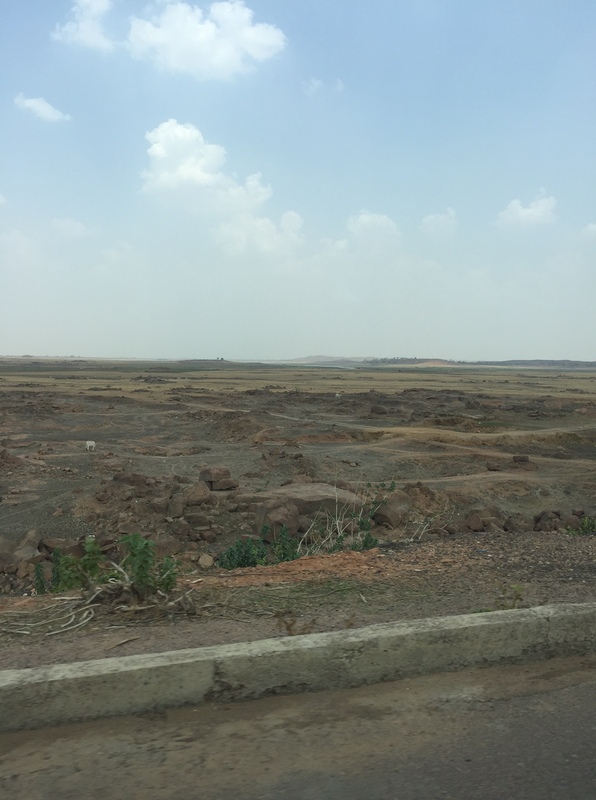 After the Babina toll gate about 10 kms out, you had this lovely lake when we came in November last year and also when we went back this way in Feb. Now in the summer heat, its a dry piece of land – no sign of water !! The road from the point where you turn for Babina is world class till you reach Nagpur. There is this small stretch just before reaching Sagar, where the small hill has been cut through and the rocks are a beautiful pink … not captured very well in this picture, but it reminds me of Sedona, in Arizona and the beautiful pink Earth and rocks there. We reached Sagar, which is 683 kms from Gurgaon, by 3.30 and stopped at Hotel Deepali Residency. This hotel is kept completely clean and the rooms are nice and spacious. The only challenge is if you are leaving early morning the next day, they will delay you by 5 to 15 minutes because either their printer won’t work for the bill printout or like this time they missed charging us Rs. 63/- :). We couldn’t go out for our walk as it was still too hot – not warm, just hot. I also couldn’t connect to the internet and missed the call with Allwyn and Jose. 3g doesn’t work too well either.